Thank you for volunteering to text with Working Families Party! Our team communicates exclusively through Slack, a team messaging application. Click JOIN THE TEAM. You will fill out the sign-up form and be automatically directed to create your Slack account. This includes a “handle” or name you choose to interact with the team in “channels” — these are virtual team spaces where you will ask for assignments, get instructions and help from your Moderator and team Guides, and where we share important updates and celebrate victories! Watch the quick video here. This will give a good overview of how to use Spoke, our texting platform. After viewing the video, you’re ready to create your Spoke account! Click on the button below and fill out the “Sign Up” form. Sign up with your email address and a password you will remember. Please use your full first and last name and be sure to capitalize the first letter of your name. You will then receive a verification email from Spoke; click the link to confirm your new account. Don’t see it? Check your Spam folder. Start the orientation and master Spoke! 3. INVITE YOUR CREW AND CREATE YOUR LEAGUE! 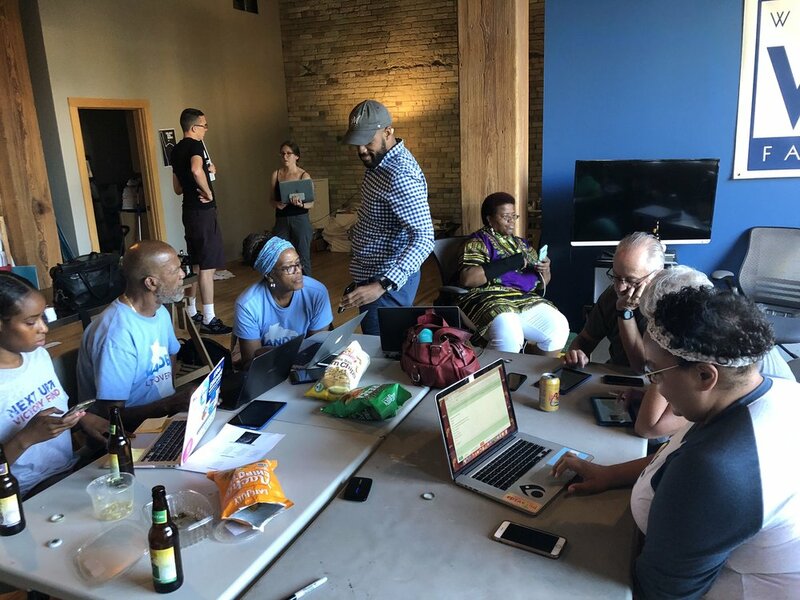 We work as a national team to educate and motivate progressive voters about Working Families Party endorsed candidates, key issues, and nearby actions. We have fun and work to cultivate a collaborative, supportive, and inclusive online community. Join and invite your friends and network to join with you to create your League! You can also easily create your own textbank party - invite your friends and neighbors, teach others a new skill, and multiply your impact! See our Host a Textbank Toolkit here and get the party started! Jump in with some friendly competition to see if you and your league can reach the most voters in the midterms and have fun while you make an impact! Check out some of the top team leaders and leagues active now! Can’t text with the team right now? No Problem! Check out the team calendar and schedule yourself for a slot that works for you!